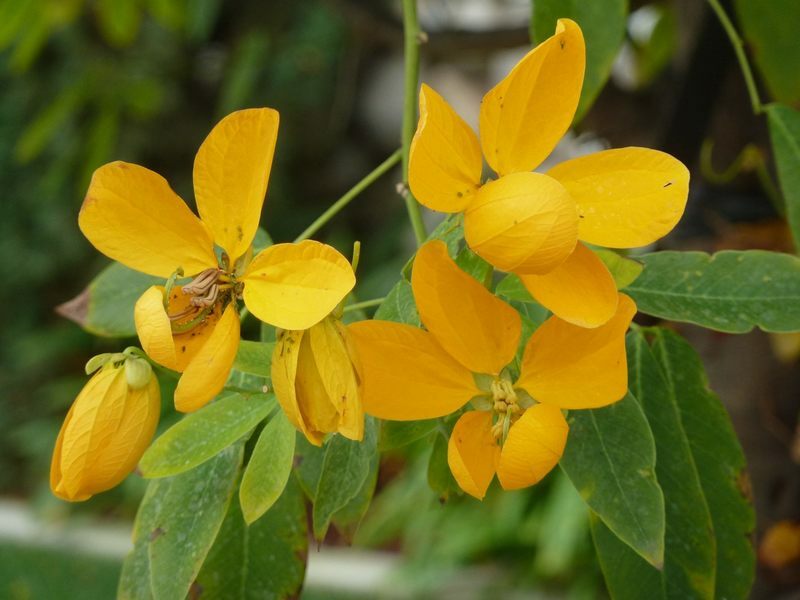 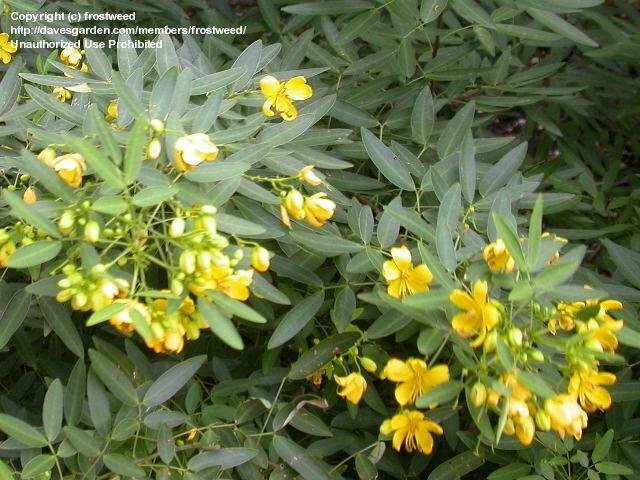 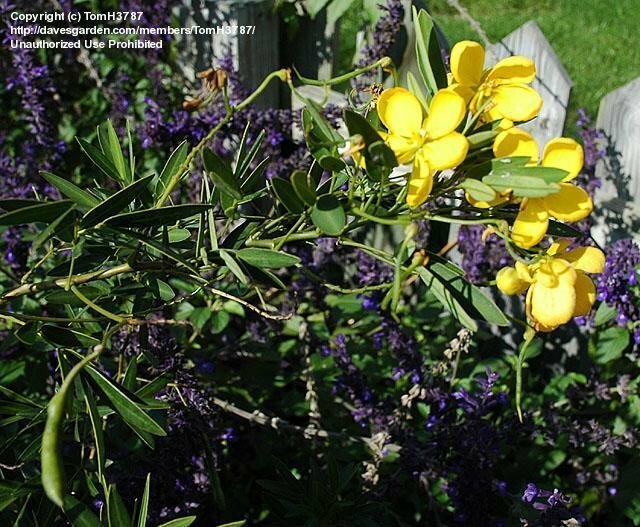 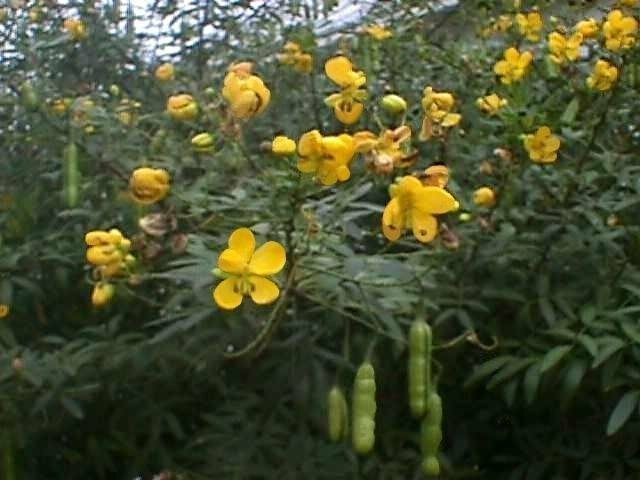 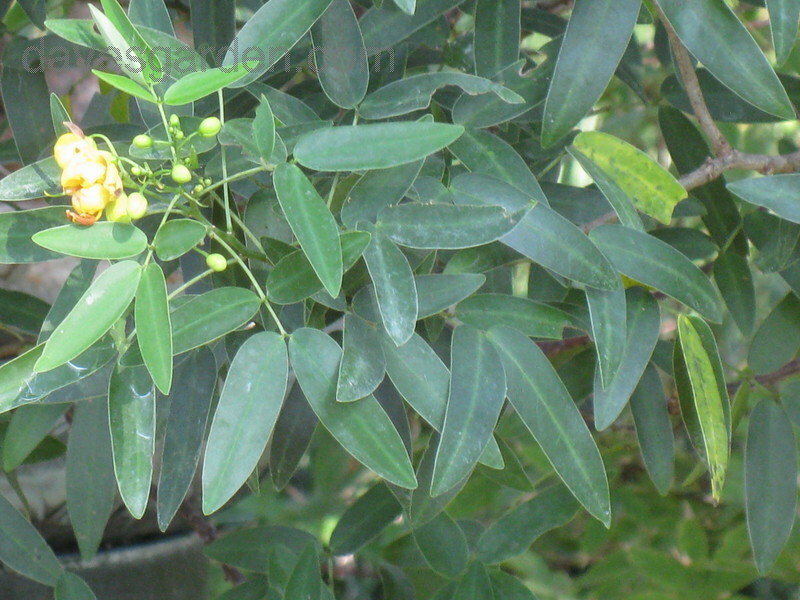 Senna corymbosa (Cassia corymbosa) produces seedpods that are from 3 to 4 inches long in the fall as shown in the photo. 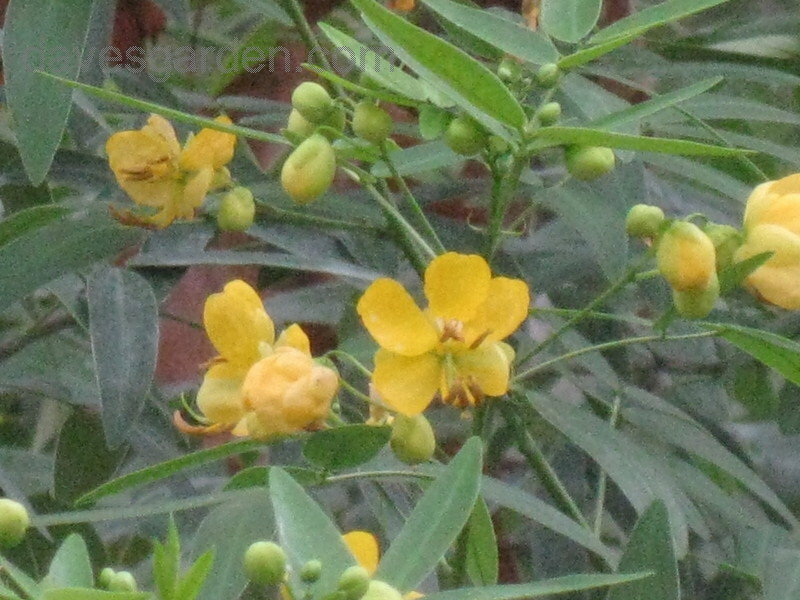 The small leaves are a lovely deep green which makes the buttercup yellow (yellow-gold) blooms really standout. 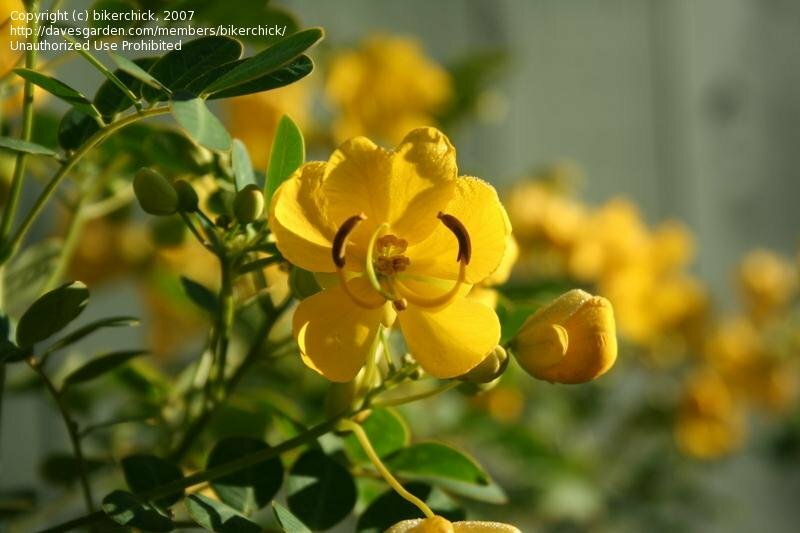 Due to poor quality, this photo has been retouched. 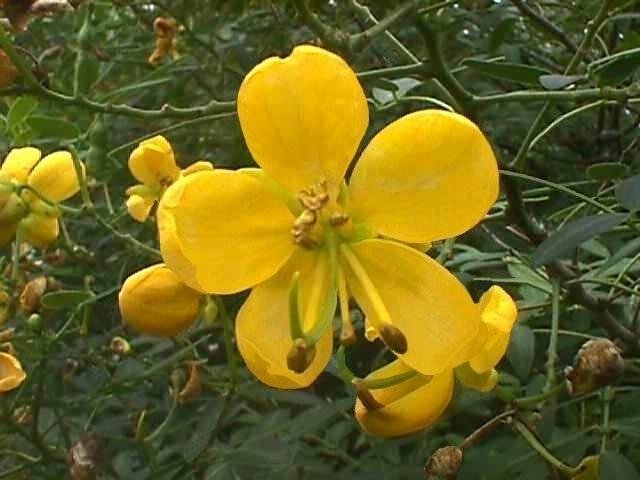 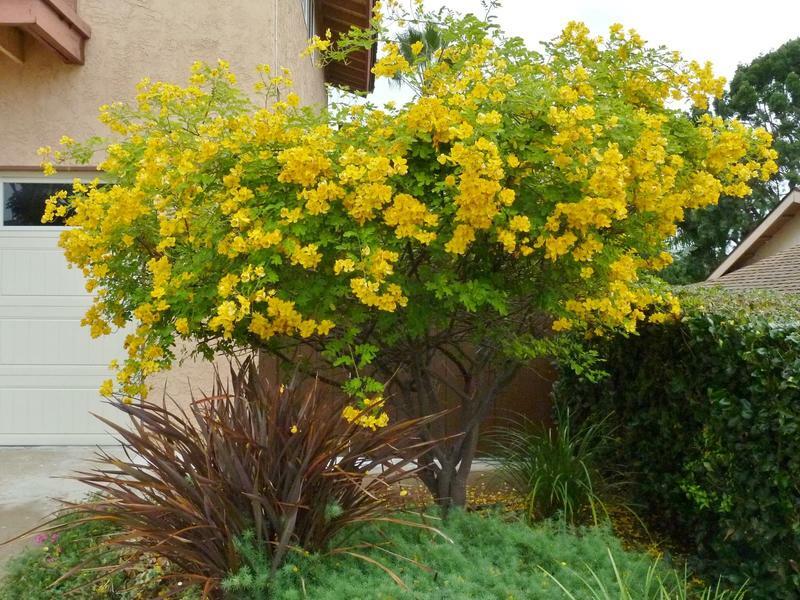 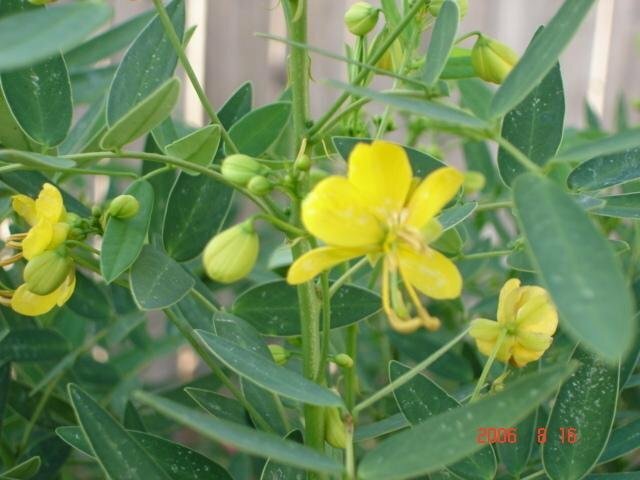 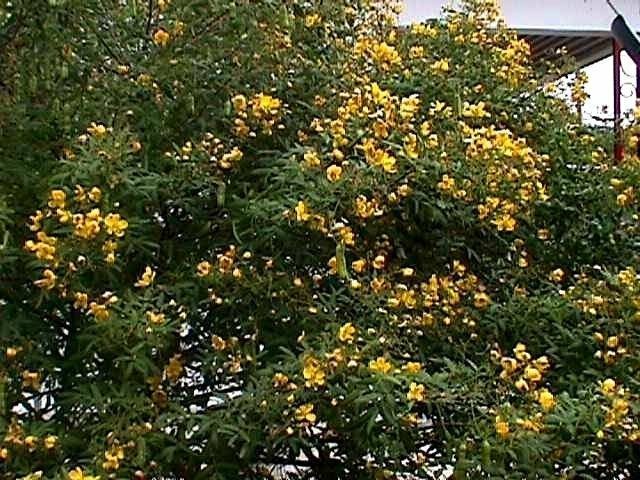 The Senna corymbosa (Cassia corymbosa) is literally covered with 1 inch blooms and produces 3 to 4 inch seedpods in the fall. 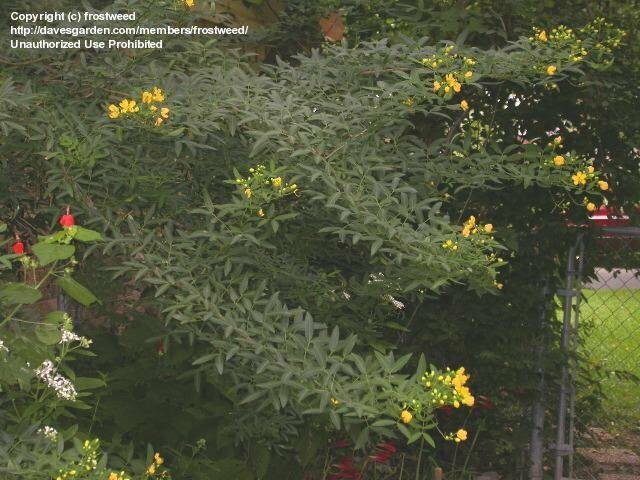 This photo does not do the plant justice, but at least it provides an image of its growth habit (shrub or small tree). 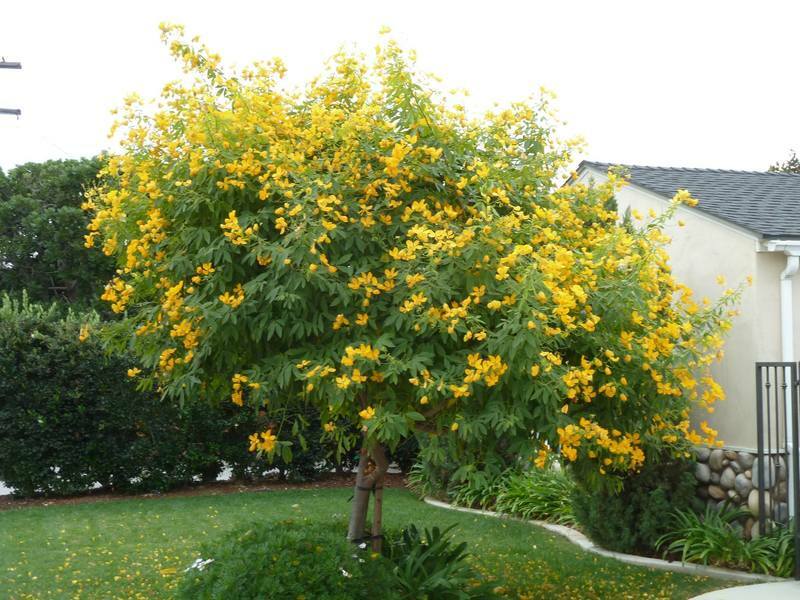 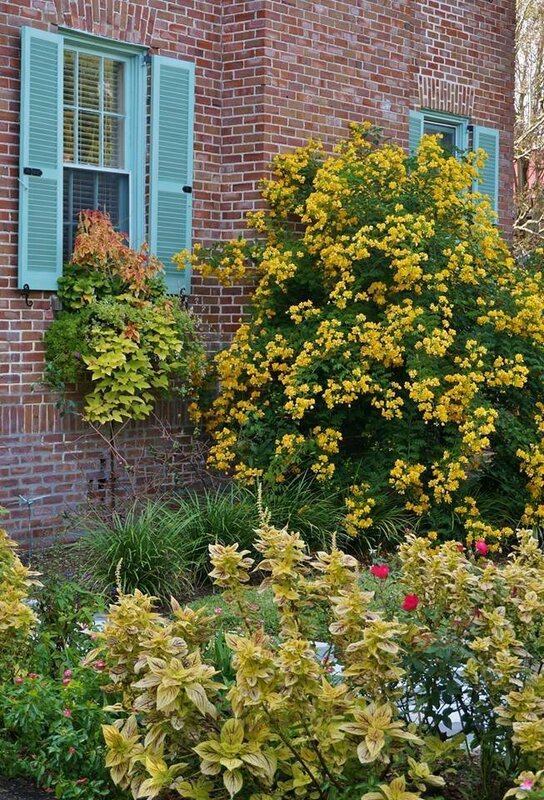 Cassia Corymbosa on the north side of the house, very unusual form. 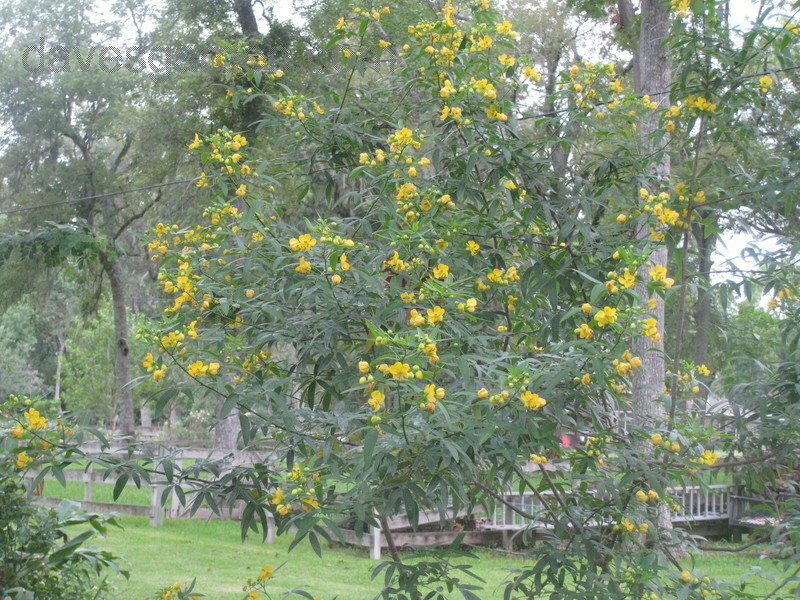 Cassia Corymbosa at Fort Worth Botanic Gardens.